Mike Goodge studied art and film at the University of Central Florida, received a B.A. degree in 1996. 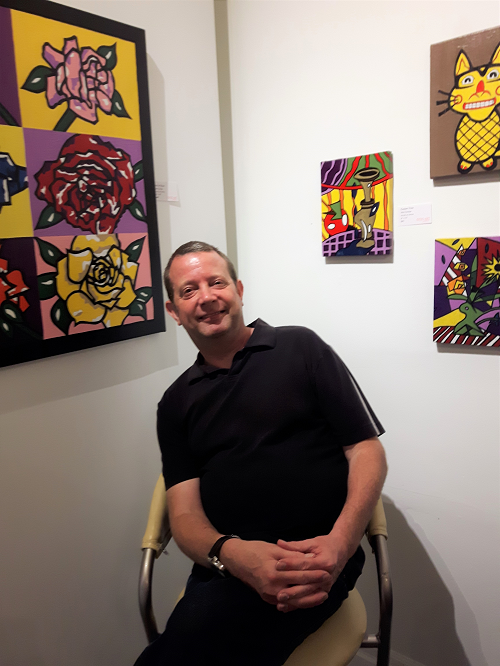 He has taught art classes and workshops at various schools and community centers for the City of Orlando, Toronto and Clermont, Florida for more than eighteen years. He is currently teaching art classes at the City of Clermont Arts and Recreation Center under his own company, Goodge Art Classes. His paintings have been exhibited in the Orlando Museum of Art and several galleries in Florida and Toronto. His art is influenced by animation, Warhol, Picasso, life experiences and film.